DBL Group is a composite textile mill having comprises of Yarn dyeing, Knitting, and Fabric dyeing and finishing fabric and ultimately producing garments for end user abroad. DBL Group started its business in 1991 and till date it has resulted in a conglomerate of 19 concerns and currently has facilities for spinning, fabric knitting, dyeing and finishing, washing, packaging and printing. DBL Group is one of the largest and 100% export oriented composite knit garments and textiles manufacturing industry in Bangladesh. They supply quality apparels across the world to the best of the retailers and the biggest brands of the fashion industry. DBL Group is a diversified and integrated knit garments manufacturing & composite industry with strong linkage. DBL Group started its business in 1991 and till date it has resulted in a conglomerate of 19 concerns and currently has facilities for spinning, fabric knitting, dyeing and finishing, washing, packaging and printing. DBL Group is one of the largest and 100% export oriented composite knit garments and textiles manufacturing industry in Bangladesh. They supply quality apparels across the world to the best of the retailers and the biggest brands of the fashion industry. Their production capacity is 6.5 million pieces per month. Their export markets are Canada, Europe and USA. Total export of the group reached USD 300 million in 2011.Their buyers are H&M, Puma, George, Esprit, G-Star, Wall Mart Canada, C&A, Decathlon, and MQ Sweden. DBL Group has a dedicated and skilled workforce of 15,700 employees and is equipped with world-class management skills which ensure a top notch performance in all aspects of its operation. DBL Group supplies quality apparels to globally renowned biggest retailers and is focused on upholding the reputation of the ready made garments and textiles industry of Bangladesh. DBL Group is using energy efficient machinery with less environmental impacts in all of its projects. DBL Group has a biological ETP (Effluent Treatment Plant) which has a capacity of 4000 cubic meters and is the largest ETP in the country. Moreover, the group is in process of installing another ETP with the capacity of 7500 cubic meters soon. DBL Group has a captive power plant of 35MW and is in the process of expanding its infrastructure. They have embarked on a growth plan that is expected to truly transform their organization. In near future year, their home textiles, ceramics, pharmaceuticals and leather industry will be in operation. Their projected turnover would be USD 550 Million and they will employ over 37,000 people by year 2016. Vision 2020 aims to sustain the confidence which has been endowed on them by the society and grow further as a distinctive business house for its customers, employees, associates and stakeholders. Their management team consists of highly experienced individuals with proven track records in their respective fields of expertise. Some of our renowned professional includes Mr. Md. Zahidullah who has been leading the corporate dept as a GM. He has hands on experience in the RMG sector for over 20 years. Another notable personality includes Md. Ishaque who’s supervising the entire for over a decade as an advisor. They are responsible for delivering DBL’s vision to combine leading infrastructure to develop efficient and effective solutions that will always keep international standard businesses one-step ahead. They have an interactive Multi Medium Marketing & Production Group. Each entity operates as an autonomous business. From conceptualization to activation we are that extra set of hands, eyes, ears and with “our international network” of professionals to ensure all goals are achieved. The company creates, manage and activate properties for specific target groups and ultimately turn them into brand ambassadors, thus insuring companies ROI. They are here to assist you in the development of concepts, ideas, campaigns, events & ultimately generate viable content that will connect your brand identity to your consumer. We are experts in experiential events and Cross Media Development. Company’s concepts and solutions ensure quality content and event experiences are created to provide your customers with information about your products, services and activities. Respect for All: The companies show our utmost respect to all individuals those who are employed with us or we will come in contact in business dealings or in the community us servein. Integrity: The Company apply the highest ethical standards with highest degree of transparency and honesty to all business dealings in our respective jobs, duties and responsibilities. Empowerment: The Company share information, reward and power so that all individuals can take initiatives, make decisions to solve problems and improve service and performance within respective area. Accountability: The Company takes personal responsibility for using our resources efficiently, achieving measurable results, and being accountable to stakeholders and society at large. Creativity: The Company is open-minded, initiate new ideas; committed to accept new challenges in ever-changing business environment with confidence and dynamism. Team Spirit: The Company achieves business goals and objectives through a cohesive common understanding and cooperation among all members of intra and inters functions. Sense of Urgency: The Company feels the need and is proactive to take actions in times of need and solve Problem. In DBL distribution there are four shareholders and sponsors. They all have 25% share of the group. Their hard work and dedication brings the DBL group in the top of the industry. Parkway Packaging & Printing Ltd.
Company Overview: DBL Distribution is one of the most important concerns of DBL Group. DBL Distribution was incorporated with DBL Group in 2007. DBL Distribution is proud to introduce some globally renowned brands to Bangladesh. DBL Distribution Ltd has a well-functioning management structure comprising of qualified engineers and a strong after sales support team. 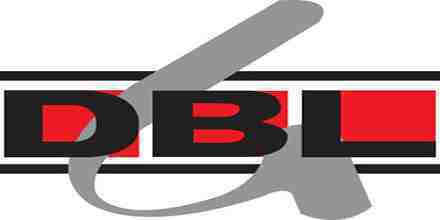 DBL Distribution Ltd has offices in Dhaka which is the main business centers of Bangladesh. It is trusted by the renowned business houses of Bangladesh for our quality products and services. It believes in business sustainability. It always tries to offer sustainable solutions that are geared towards both economic and environmental sustainability by presenting the best product in the market. It does not focus on the number of sales but it rather focus on the numbers of problem it solves. As a distributor, the team always tries to find out the right person from the potential company to offer our products. The team members are very dynamic, hailing from strong professional backgrounds with a wide variety of professional networks of engineers and industry experts, who facilitate us in identifying new prospects. At DBL Distribution there is a strong marketing and sales team who are always prepared to educate potential buyers with the best of the resources available to them. DBL Distribution is the sole authorized distributer of ENECON Corporation (USA) and COMMAX (Korea). Our long term objective for DBL Distribution is to establish a win-win business partnership with our clients. We strongly believe in the products we distribute, and we want our clients to experience the same trustworthiness with our products. At DBL Distribution we Consider cooperation as the golden key to mutual success which leads to a competitive advantage. We intend to differentiate ourselves from other distributors in the nation by benchmarking in troubleshooting and problem solving with innovative and sustainable business solutions. Applying the above mechanisms, DBL Distribution wants to secure its profitability by 300%, which is our ultimate primary business objective in 2014. Bargaining power of the suppliers is less over DBL Distribution and industry rivalry among established competitors is less likely. New entrants may arise anytime with a distributorship from actual rival company of ENECON like BELZONA. The bargaining power of buyers is very high. DBL Distribution is not targeting those factories who are already clients of another SBU (Parkway Packaging) of DBL Group. There is only one transport available for DBL Distribution. So lack of own transportation facility hinders the frequent visits to the prospects. There is no such participation in industrial trade fair and promotional campaign for last two years. The company can implement loyalty program to reduce customers’ buying power. To control the bargain power of buyers, DBL Distribution must create awareness of their products and the necessity of those products to use in factories. To maintain a continuous visit to the prospects and client more transport are needed or availability of transport should be on regular basis to accelerate the frequency of client visit. The plan should be regularly reviewed and evaluated so it can be adjusted as required. Information collected during evaluations can also be used in planning future marketing strategies and objectives. Include annual marketing budgets in the one year or mini operational plan. DBL Distribution should participate in various industrial trade shows where the major audience would be engineers and factory in-charge personnel. Parkway Packaging Ltd is one of the ply box manufacturers in Bangladesh. This is one of the sister concern of DBL. PPPL is a fully automated carton manufacturing plant. It started its journey in July 2008 with the largest capacity of producing carton in Bangladesh. PPPL has nominations from world class garments retailers such as Wal-Mart, C&A, H&M, TEMA, GAP, BASSPRO, etc. Marketing personnel go through the BGMEA directory book and shortlist the prospective clients which best matches with the companies’ requirements. Fixation of appointment with the clients to communicate with them face to face. Then the marketing personnel of PPPL submit the sample carton for the approval to get the order. Competition is intense in the local market due to many suppliers with standard quality products. Inefficient management has resulted in reduced order quantity as well as degraded carton quality. Lack delivery vans prohibit us to deliver on time. Recruitment of suitable personnel to improve the overall activities of the concern and reduce inefficiency. Redesign warehouse by making it moisture controlled, so that the cartoon quality does not degrade. Training and development of the factory personnel’s so that they can make the production system more streamlined and efficient. There should be facility of more training programs so that the employees get more knowledge. There is less scope of promotions of the employees, so I think the scope of getting promotions should be increased in order to motivate employees. DBL has very less number of CSR activities, so I think they should increase their CSR activities. It would not only be beneficial to the people of the country but also for the company itself. DBL should offer transportation facilities to its employees as many employees come from far away. The working hour is from 09 am to 6 pm but it often exceeds because of work pressure. To avoid this is necessary. While working here I also observed that the employees got their bonus late which can make the employees unhappy. So the employees should get their bonus in time. DBL is one of the largest manufacturing and distribution organization in Bangladesh and it has earned the reputation of top corporate operation in Bangladesh. It is constant in detection of business innovation and improvement. Using innovative method of industrial B2B business marketing DBL Distribution and Parkway Packaging & Printing Ltd target the factory engineer’s while also having a national reach through social media and online promotion. While working with DBL distribution and PPPL, I experienced the work process of this company which is a big achievement for me. I learned a lot about many practical ideas and business policy which I can relate to my academic learning.